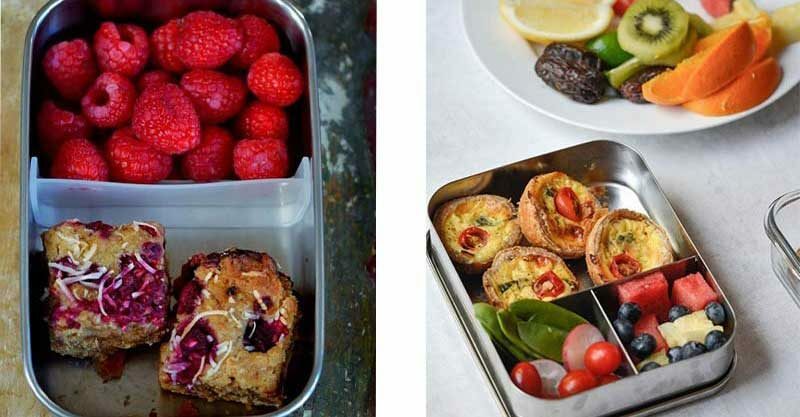 How to be a whole food lunch box ninja! The first rule of whole food lunch box ninja club is that your efforts won’t cost you more money or eat away at all of your time. What it will do is ensure everyone in the family (yep, even you) gets fresh, healthy unprocessed foods to power through the day. 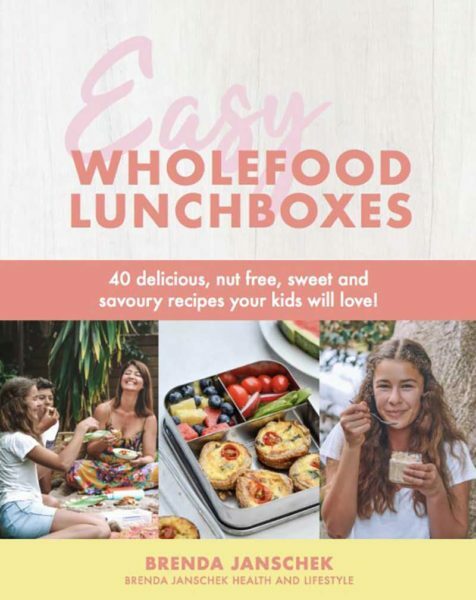 That’s according to health and wellness coach Brenda Janschek who’s just released her Easy Wholefoods Lunchboxes eBook – a collection of 20 savoury and 20 sweet recipes to tempt the taste buds of your fussiest eater. You’ll save time on busy school mornings because all these recipes can be made ahead of time and popped in the freezer. All the recipes are made from whole foods, so you can send your kids to school with that smug (in a loving way) feeling. You and hubby will want to eat all these recipes too, so no doubling up on work. What are the benefits of a whole food lunch box? Nutrition Australia states that our kids eat a third of their daily intake at school, so it’s super important we make every mouthful count for good health and wellbeing. Our children are growing and developing at such a rapid rate, that nourishing their bodies and minds is critical. Providing our kids with whole foods, like vegetables, salads, fruits, nuts, seeds, fish, eggs, meats, yoghurt, and whole grains in their lunch boxes means our children will get the nutrients from these foods for proper growth as well as mental and physical vitality. In a time when childhood health issues are on the rise, and advertisers and food giants are trying to convince us we’re too time poor to turn fresh ingredients into simple, delicious food for our families, it’s never been more important to provide simple, home-cooked whole food options in our kids’ lunch boxes. Doing so means we are avoiding damaging additives like artificial flavours, preservatives, trans fats, and the refined sweeteners that are so common in processed, packaged food, helping our kids to flourish mentally, physically and socially. 1) Invest in a good bento box and thermos so you can provide a bit more variety. The bento box makes everything look more appealing, colourful and so easy to access. 2) Have your children get more involved in the process of packing their lunch box, giving them a choice between healthy options they might like. Create a chart with all the food groups listed and ask them to choose an option from each food group, that way they can begin to understand the importance of whole foods. 3) Don’t put foods in their lunch boxes that they are unfamiliar with. Do some trial runs at home first. 4) Nothing is worse than facing a soggy sandwich or some warm, curdles yoghurt for lunch! Make sure the vessel you are sending food to school in is properly insulated. Sweetener – Refined white sugar is highly processed and therefore completely stripped of all nutritional value, providing only empty calories. My preferred natural sweeteners are rapadura sugar, coconut sugar maple syrup, raw honey and brown rice syrup. Milk – Brenda recommends using a good quality unhomogenised dairy milk from pastured animals, or nut milk, coconut milk, oat milk or rice milk. Meat, Poultry, Eggs, Dairy – Try to purchase 100 percent grass-fed meat and pasture-fed poultry and pork. They have a healthier fat profile, superior vitamin, mineral and antioxidant content and help to prevent modern Western diseases. Eat the milk, cheese, and butter from dairy cows that are grazed entirely on grass, and eggs from pasture-fed poultry, which ensures better quality and better health. 1) Buy the Easy Wholefood Lunchbox eBook. 2) Consider purchasing a bento box because this allows for colour and variety, which is more encouraging for kids to eat. 3) Go through all the recipes and decide which ones your kids might enjoy (you can get them involved in the process too). 4) Make a list of the savoury and sweet options you will try and pop them on a meal planner on the fridge or somewhere visible. 5) Many of the recipes can be prepared and made for dinner, using leftovers for lunchboxes or frozen. 6) Or you can simply make a double batch for dinner and freeze the extras to make packing lunch boxes easy down the track. 7) And/or, put aside a couple hours each weekend for a lunch box cook up. Always ensure you make one savoury and one sweet recipe. What are your favourite mum and dad-friendly recipes? All of the recipes in the ebook are family-tested and family-approved, so all of them work for parents and children alike, says Brenda. Lunchbox vegetable slice is a classic, go-to lunch box recipe that’s delicious and portable with a good mix of protein, fats and vegetables, keeping everyone firing on full cylinders for the day. Asian chicken bites – Make a double batch for dinner and serve with rice and sautéed greens, then the extras are perfect as a great, easy finger food option for lunch boxes. They can also be wrapped in some cos lettuce and drizzled with the dipping sauce. Yum! Apricot, orange and coconut bliss balls – These make a perfect, nutrient dense and delicious alternative to the vending machine at 3pm crash time and will get those blood sugars stabilised without reaching for those sugary snacks. Pop one or two in for your kids’ recess. As Brenda told Babyology, nothing beats the feeling of sending your kids off to school with enough nutrition to last the day. It’s like a little hug you can give them when they’re not with you.